Crankshafts are NOT knurled in the rear main seal area. This is a STROKER KIT for the Buick 3.8 turbo V-6. This kit comes with a forged steel narrow journal 3.625 stroker crank, GN1 H-beam rods and JE pistons and rings. This kit has that extra edge for mid-range and top end due to the advantage of 5.970 rods verses the standard 5.960 rods most other kits use. Rod and Main bearings are NOT included but are available separately as well as billet main bearing caps and stud kits. Check those out on this page of the site. Bearings, Billet Main Caps and Stud Kits ARP rod bolts now come standard with the kits WE sell! 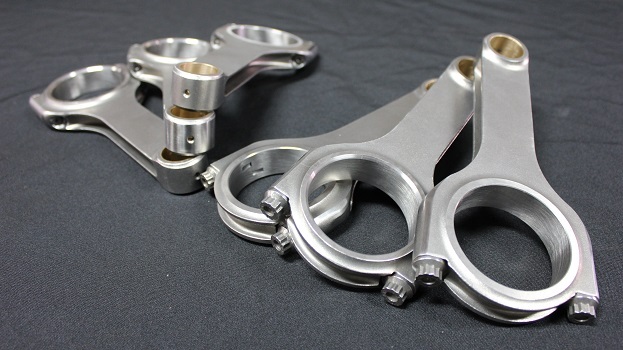 The cranks can be used for internal or externally balanced rotating assemblies. It is just up to you and the machine shop to make that decision. These kits use JE pistons which do not have the hot spots on the corner of the valve reliefs as Diamond pistons do. These cranks are 4340 which is a much stronger material when compared to 4140 used by Eagle cranks. As with any stroker kit, machining and rotating clearances will be needed to be checked for proper installation. All clearances should be checked on any kit as a matter of fact. No such thing as just throwing these parts into your block and calling it a day. Check and recheck everything and your motor will live a long and happy life! Select the proper kit in the drop down menu in the order box below. 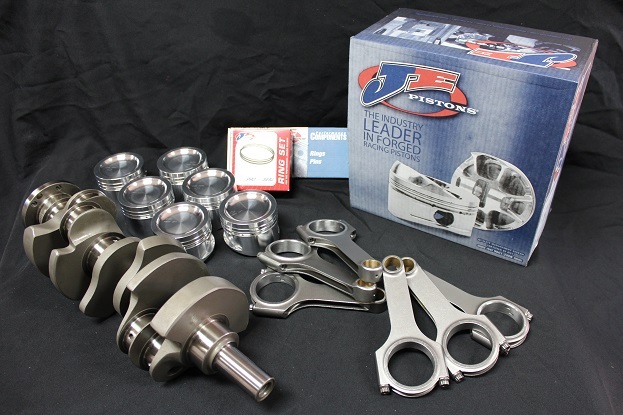 This kit comes with a 3.625 stroker crank, GN1 brand h beam rods and JE Custom pistons. KEEP IN MIND THIS IS A 4340 CRANK SHAFT, NOT 4140. THIS 4340 MATERIAL WILL SUPPORT 1000-1200 HP EASILY. The overwhelming choice of the world’s fastest Buick engine builders. These pistons are engineered to produce maximum horsepower in extreme boost or nitrous applications. The inverted dome is designed to duplicate the factory compression ratio and the precision CNC machined ring grooves accept 1/16, 1/16, 3/16 rings. Kit includes 6 Pistons (bore of your choice), .940 pins wth double spiro locks, and rings! These GN1 H-Beam design are perfect for turbo applications.